Barcelona forward, Lionel Messi, has regained the Pichichi prize for the first time since the 2012/2013 season, by finishing the 2016/2017 season as the highest goal scorer in La Liga. 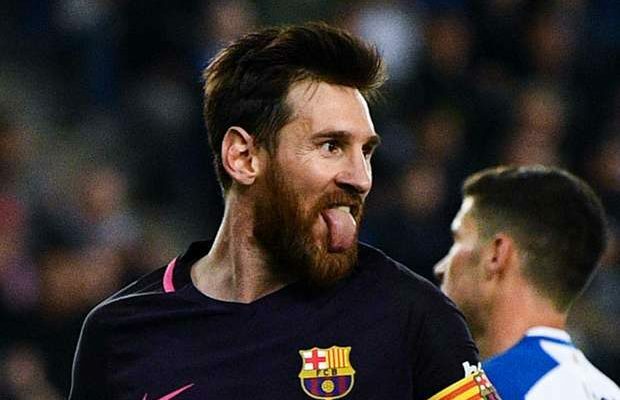 Messi found the back of the net 37 times for the Catalans this term, finishing eight goals clear of his team-mate and last season’s winner, Luis Suarez. Cristiano Ronaldo, who has fallen behind his great rival in terms of the number of Pichichi titles he has won, came thirdwith 25 goals. All three players scored on the final day of the La Liga season, with Messi’s double earning Barcelona a 4-2 win over Eibar. Suarez had drawn Barca level at 2-2 after Eibar had taken a shock 2-0 lead at Camp Nou. Ronaldo netted in Real Madrid’s 2-0 win at Malaga, to clinch their first title in five years. meanwhile, opened the scoring inside the opening two minutes as Madrid eased to a 2-0 victory away to Malaga to wrap up the title.